The second Spyro game to appear on the GameBoy Advance. Still made by Digital Eclipse as last time, they've managed to improve upon Season of Ice thankfully. The game now has a memory. Certain things you do stay forever rather then having to do them every time you die or go back into a level. The game also has a much better Atlas as it no longer just lists numbers but also pictures to help you with your collecting. And the introducion of a map is a great thing as it very useful if you're lost in a level. 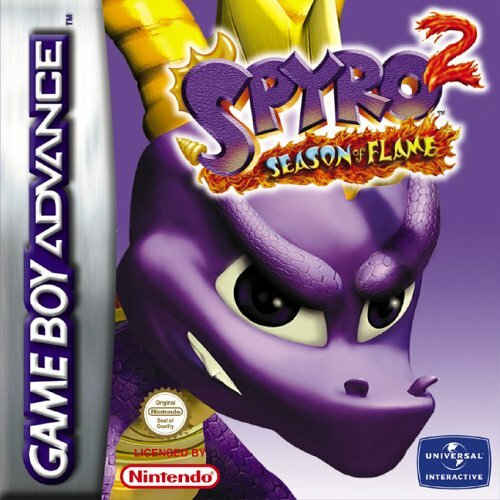 Being back in the Dragon Realms rather then the Fairy ones, this game allows you to control some other characters aside from Spyro and Sparx (Sparx not being a playable character in this game). Overall both the graphics and gameplay have been improved dramatically for this second installment by Digital Eclipse. Someone, mysteriously, has stolen all the fireflies, the source of all fiery Dragon Power. And it's up to Spyro, Hunter, Bianca and Sparx to find out why! And here's a basic acount of what happens as you start a brand new game. Arriving back from their visit to the Fairy Realms, Hunter, Bianca and Spyro land back in the Dragon Realms in their hot-air balloon. 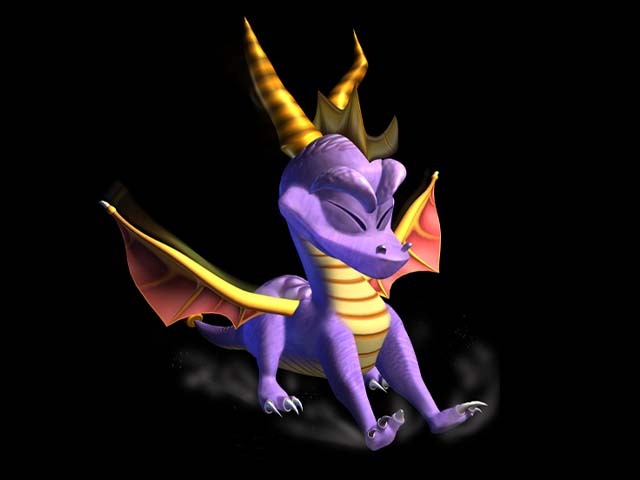 Spyro notices that there's no-one there to welcome them back, and Hunter mentions that it's pretty cold in the Dragon Realms. They spot a Dragon Elder and talk to him. A Jump. Press again when in the air to glide. Press again whilst in glide to hover and end the glide. 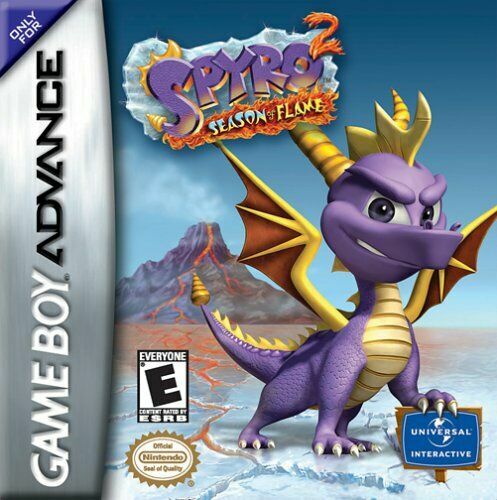 And as all other Spyro games, Gems are you currency. Slightly different from the previous game, Season of Flame uses a new 25 value gem. Obviosuly not new to the series in value, but they've redesigned it so that is 'less confusing' then before. And as all other games, gems are found in the usual locations; inside flammable baskets, chargeable vases, locked chests, Rhynocs and just plain lying around on the ground. There's never really been a major change with Sparx's system. Same as usual. To regain your health, simply flame one of the small creatures running around the Dragon Realms that give out butterflies. That's all for the intro. On with the main game I think. Off to the Sunny Plains! best glitch ever in this game. well if you dont count the progress of getting 99% and then the game wiping itself while in the glitch. I'm stuck on the final boss, si can I have some tips on how to beat him? oh and I never heard of this game....intill now! how do you make barriers?